Our range of products include cotton water bed and cotton waterbed. 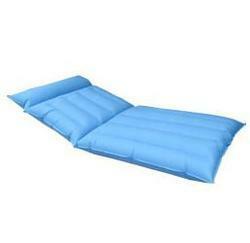 With the assistance of our team of professionals, we are engaged in manufacturing, exporting and supplying Water Bed. Our water beds are used for curing bed sore. These water beds offers complete comfort and sleep as the body weight gets uniformly distributed on the bed. We offer these water beds in diverse sizes other related customized options as per the customer’s requirements. We are engaged in providing superior quality Cotton Waterbed that can provide unusually helpful support for convalescents, those with painful joint conditions. The given range of water bed increase relaxation, meaning longer periods with less movement. This water bed is the best sleep system we know to help our bodies relax and to provide maximum body support. 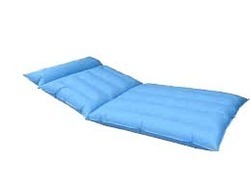 Customers can avail this water bed from us in numerous sizes options to choose from. Looking for Cotton water Bed ?